The sous vide method for poaching eggs on the recipe community site, link above, is now our favourite way to poach eggs. The guided recipe from the Basic cookbook for the thermomix was a little fiddly because you could only cook two or three eggs at the most at one time and so the waiting time for our family of four was a little inconvenient. With this sous vide method for the TM5, add 2ltrs of freshly boiled water to the bowl, ( we add 1.8ltrs and then add cool water until the temperature is 70C) , then add the steamer basket with the fridge eggs and cook at 70C, 12.5mins, speed 3.5. We cook 5-6 eggs at once. You could cook more. We skipped the first step of heating the water by using boiled water in the TM bowl and reduce temperature to the required 70C by adding some cool water. Once done, the eggs can be cracked in middle and unbelievably they slide out whole, we were impressed and next time I’ll let the kids do their own definately try this one if you like poached eggs with minimum fuss. To get the eggs exactly the way you like, read the comments section for this recipe, there are many helpful tips that members have posted to achieve the perfect poach egg. And the method varies slightly for a TM31, time and quantity of water is reduced. Added another useful link to try, see above Thermobliss facebook post comments by Nicole Mark Pennington. 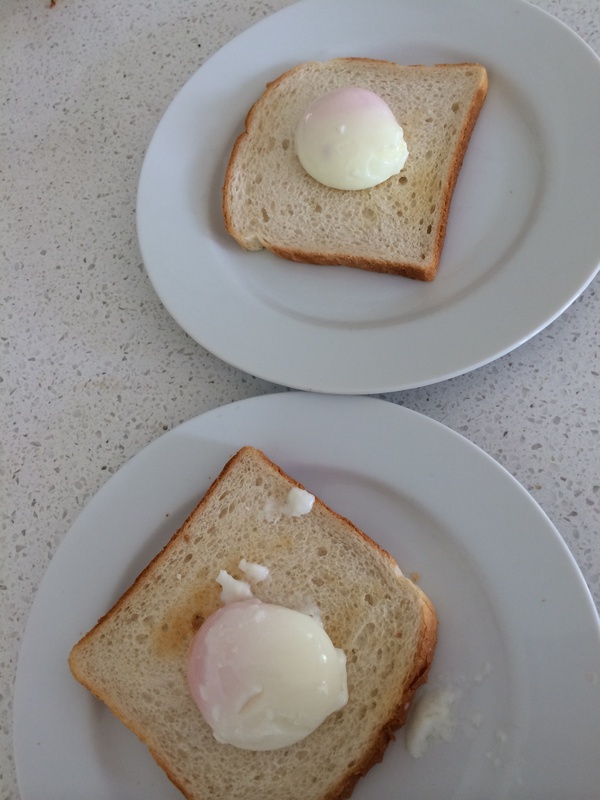 She notes her method for perfect poached eggs for room temperature eggs, fill TM bowl with 2000g water, place room temperature eggs in steamer basket and cook 14 minutes, 70C, speed 4. Don’t need to pre boil water but need room temperature eggs.